What is Jatamansi? Can it help you with stress relief? I know that stress can cause chaos in everyone’s life who is suffering from it, and too often it’s not so easy to get a break from it, especially if it’s a chronic stress. But if you also experience anxiety which can be a symptom of stress and also a problem of its own, getting rid of stress is more difficult to achieve. There are many stress relief tips that may help you find more balance in your life and say goodbye to stress. Supplements and natural remedies may be one of the ways that can make your life easier and stress more manageable. Nardostachys Jatamansi, a flowering herb of the Valerian family, is commonly called Jatamansi Spikenard, Nard, Muskroot, or Nardin. The herb grows in the high altitudes (3,000-5000 m) of the eastern Himalayas. It has pink, bell-shaped flowers. The herb was traditionally crushed and refined into an oil called Spikenard oil, that was used for medicine, religious uses, and even perfumes. The roots of Nardostachys Jatamansi are used as an anti-stress remedy in Ayurveda. Jatamansi can help you feel calmer and relieve anxiety and stress. Description: This Jatamansi Powder contains herb can support you mentally. It doesn’t only help relieve anxiety and stress, but it also has anti-inflammatory, circulatory and digestive properties. This is a supplement that helps calm the nervous system. Description: This is a pure Jatamansi essential oil form one of the most reputed brands. The method of extraction is steam distillation. This green Jatamansi oil is distilled from sustainably harvested roots gathered from community forests in Nepal. 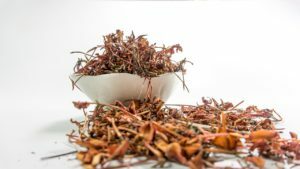 Now you know, what is Jatamansi and that it may help you deal with stress. 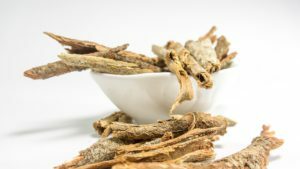 Jatamansi is a herb for natural support for mental conditions, and it’s great for stress and anxiety relief. We all are different, and Jatamansi supplement can help you or not. Do you believe that Jatamansi can help you relieve stress and anxiety? What do you think about Jatamansi supplements? Let me know below! Are you looking for the best Jatamansi supplement? CLICK HERE for more information.